Lucy Wu is a third-generation Chinese girl in sixth grade who is very good at basketball, prefers Italian food to traditional Chinese and can't wait to finally have her own room when her sister goes to college. But then she find out that Yi Po, her grandmother's long-lost sister is coming for a few months and will be staying in her room. To top it off, she's bullied at school by a girl who doesn't want her on the basketball team, and her parents make her go to Chinese school. Although Lucy has a chip on her shoulder and is sometimes rude, she is likable and acts like a kid her age. 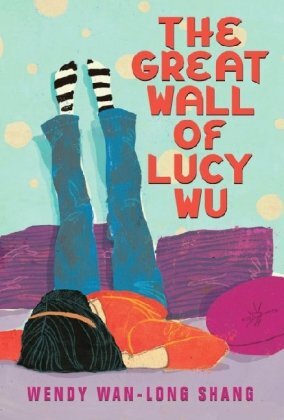 The author does a super job of developing all the characters in this story but especially Lucy and Yi Po, who I really liked. It was interesting to see the elements the author uses to develop their relationship and that of Talent, the annoying know-it-all other Chinese girl in her school. This made me appreciate the values Lucy learns and stands up for. My daughter and I learned more about the Chinese culture and some of the awful things the people in China endured during the war and Japanese invasion. But we also had a few good laughs when Lucy used the wrong tone and messed up her Chinese words. The story flows well and comes to a great ending. My daughter loves when all the plot strings are tied at the end. We found this book to be fun, heart-warming, educational and perfect for middle-graders who sometimes struggle with their cultural background. Although Lucy was Chinese, my daughter and I could certainly relate as second- and third-generation Italians. Highly recommended for any tween who likes sports, has immigrant parents or grandparents and wants to read a good book. Disclosure: Thanks to Nikole Kritikos from Scholastic Canada for sending us these books for review. I was not compensated in any other way, nor told how to rate or review this product. 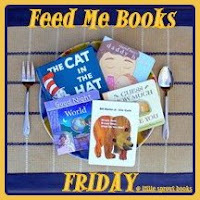 Feed Me Books Friday is a feature hosted by Little Sprout Books where you can leave a link to your children's book reviews and discover others. Thanks for sharing this book. I think Booking Daughter and I would enjoy this one and it sounds like a good discussion book too! Still catching up on neglected links! Thanks again for linking up at Feed Me Books Friday! 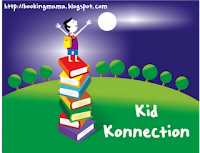 I love reading the way you intertwine your daughter's analysis of books with your own. Hoping I can do the same as my son gets older!